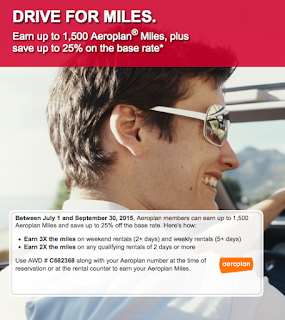 A new Aeroplan bonus for Avis rentals has come out. 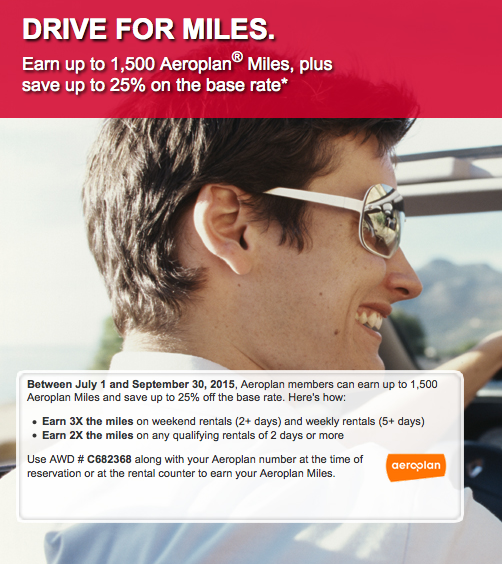 The offer is for up to Triple Miles for rentals in the U.S. or Canada. See the bonus offer section below for details! We've updated our Travel Hacking 101 post on how to earn free Aeroplan Miles or British Airways Avios. With current offers you can potentially earn over 125,000 Aeroplan Miles or 91,250 BA Executive Club Avios for nothing more than credit card spend. Find out more here.